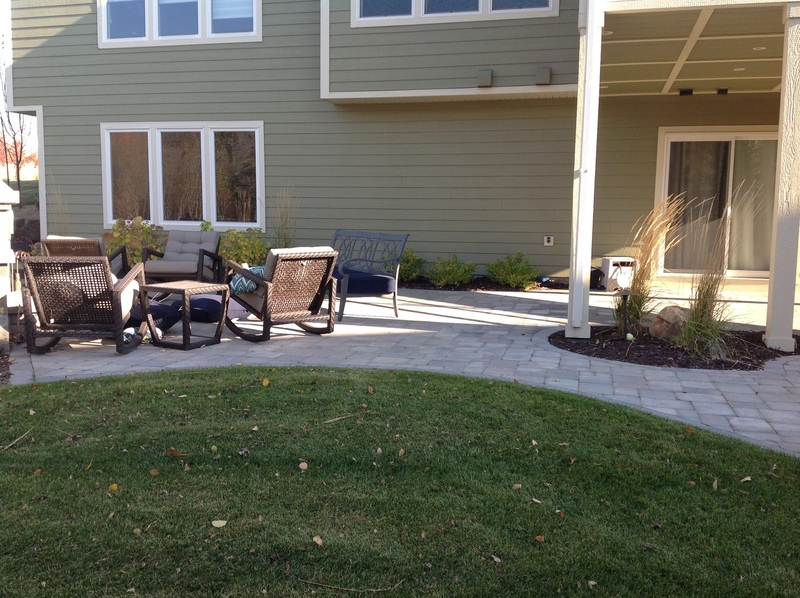 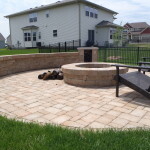 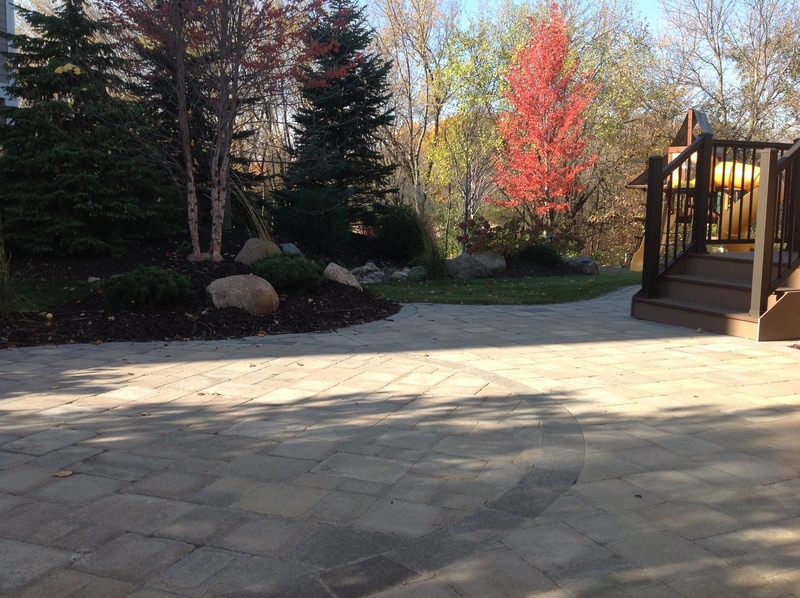 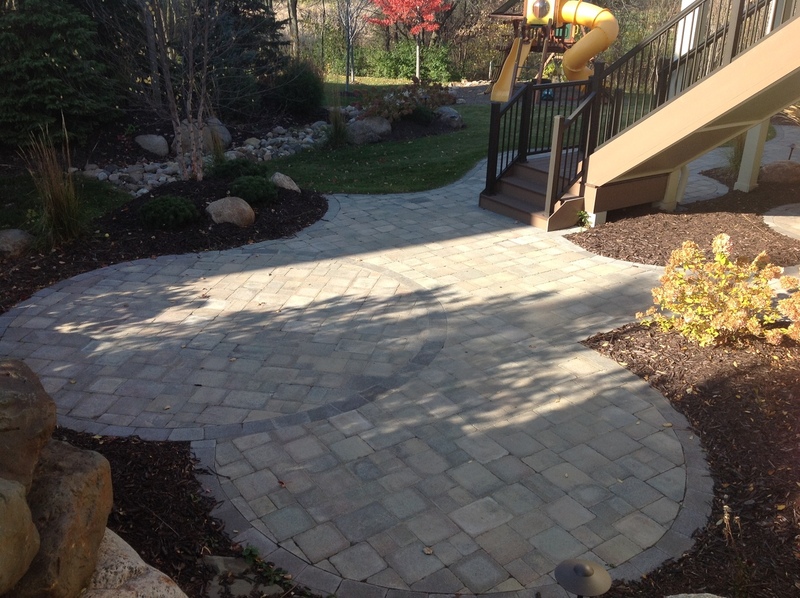 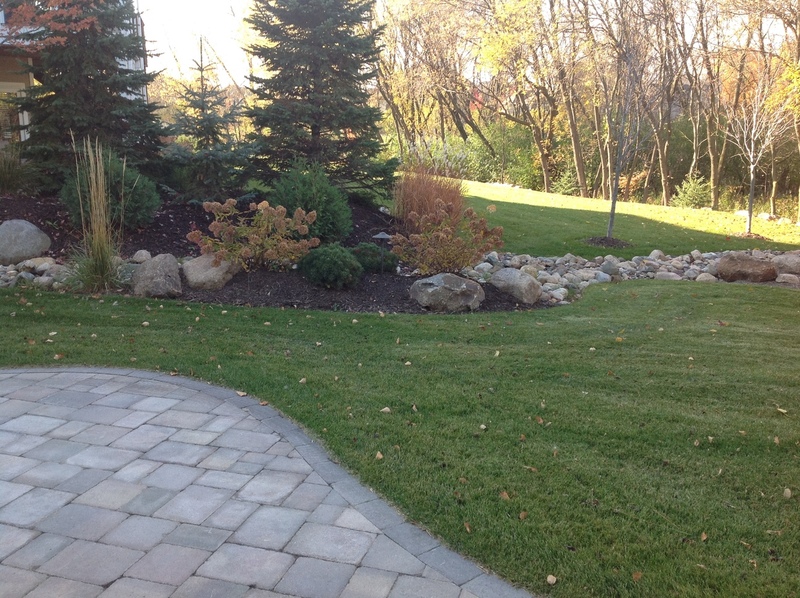 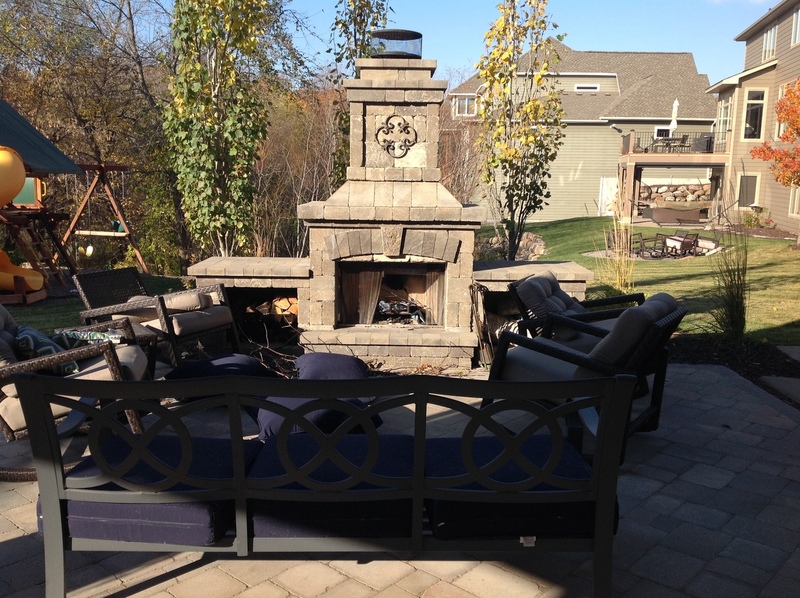 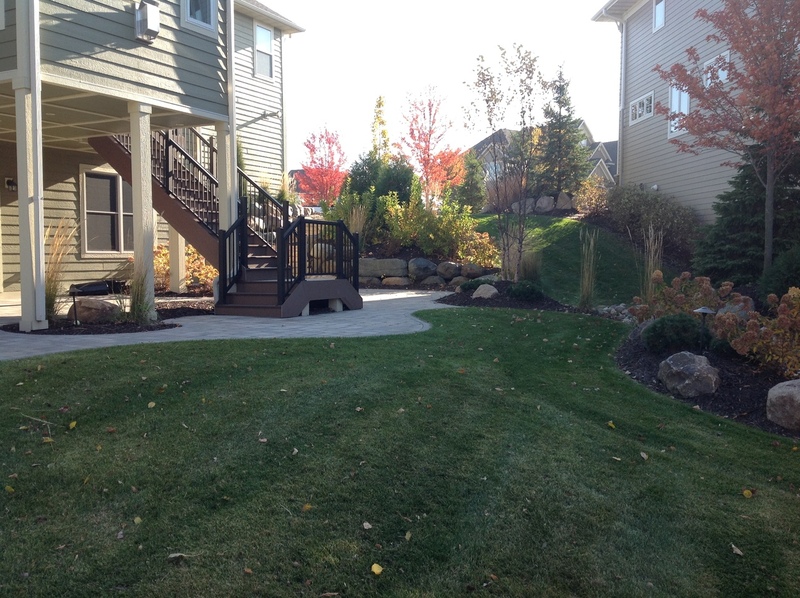 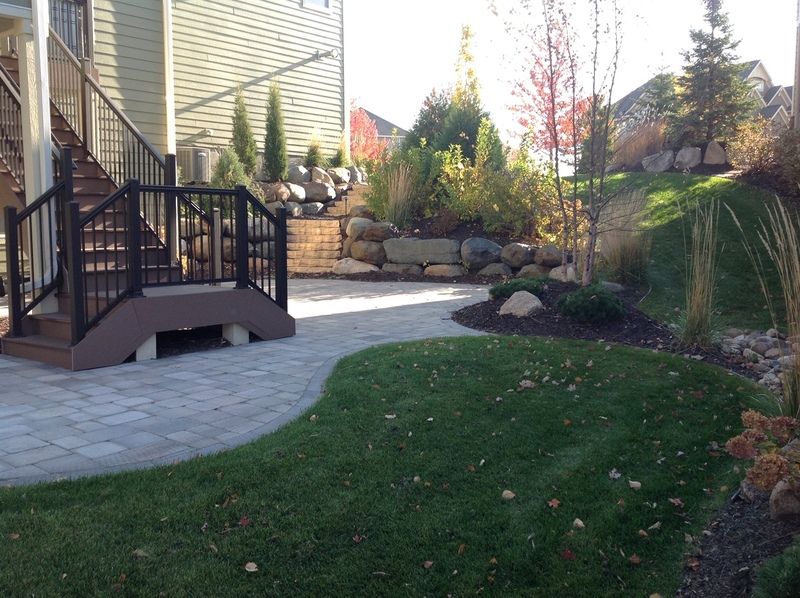 This landscape and hardscape project in Maple Grove, MN featured an Anchor paver patio and a Belgard Elements outdoor fireplace with wood storage boxes. 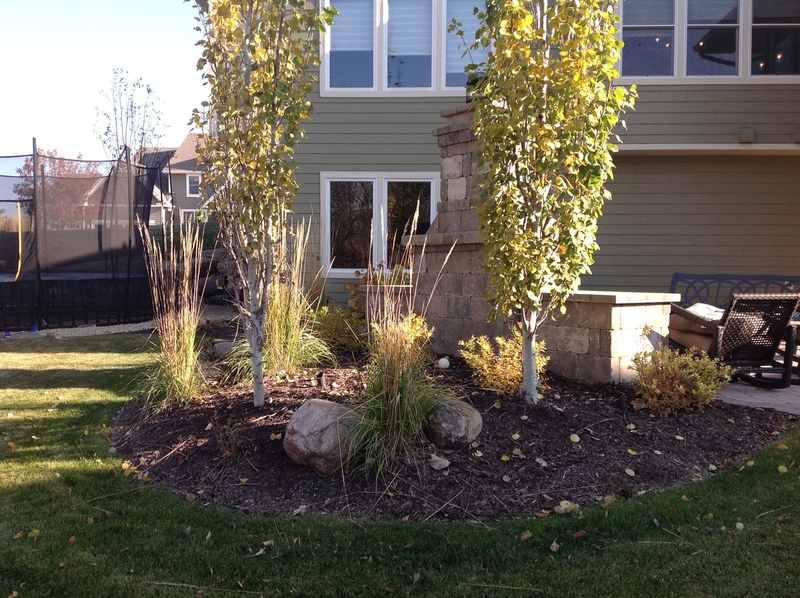 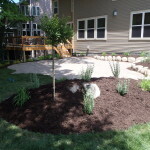 The surrounding landscape used a variety of plant material, Aspen trees behind the fireplace and a River Birch clump add to the privacy when on patio. 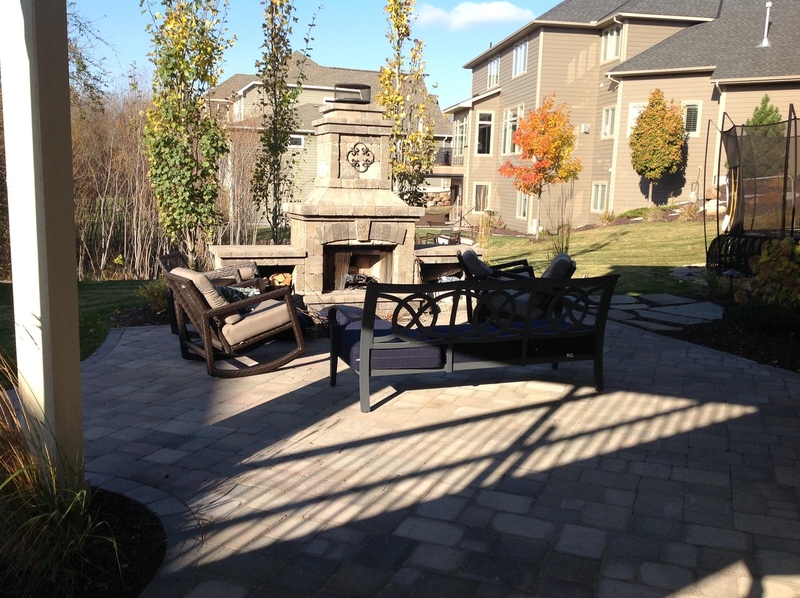 The dark brown mulch makes the patio and fireplace really stand out.